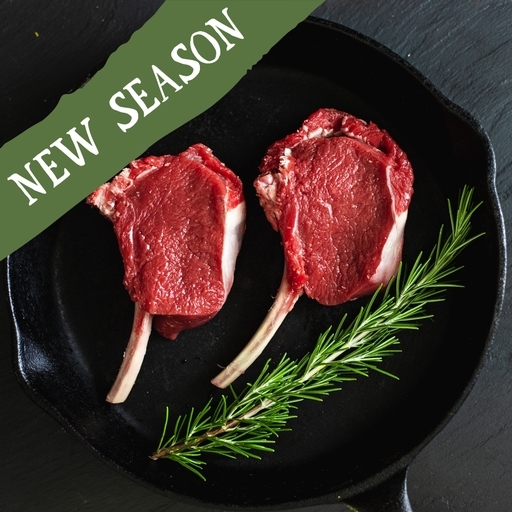 Fresh organic venison chops prepared in the Riverford butchery. A leaner, meatier version of a prime lamb chop, these are tender enough to fry or grill and also excellent braised of stewed. Good with redcurrant jelly. If you have a bit of extra time, the classic accompaniment to this fabulous lean meat is red wine sauce. Our organic meat delivery is in insulated packaging to keep cool on your doorstep. Minimum meat order £15 because of this special packaging. Oil and season the chops. Fry them in a very hot pan; 2-3 mins each side for medium. Let them rest somewhere warm for 5 mins before serving.